Time flies when you're having fun! It's already late August which means that summer is almost over here in Iceland. This time of year brings a lot of fun though, blueberries are ready to pick and mushrooms show themselves in the woods. 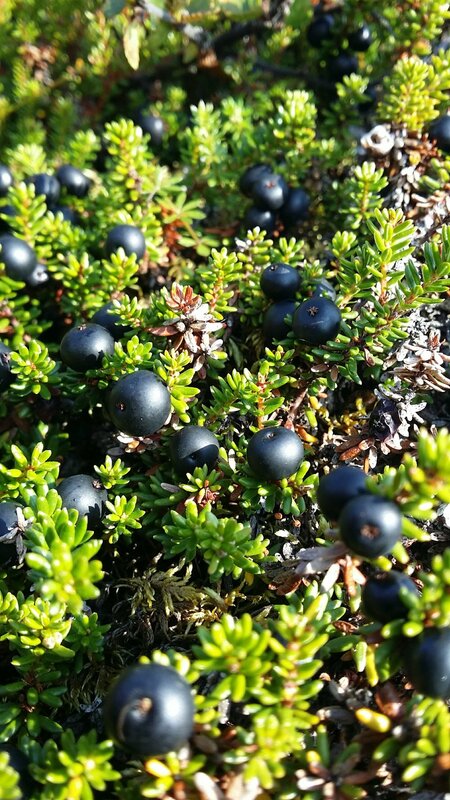 The hills of Hólar are fantastic for berry picking and the Hólaskógur has lots of mushrooms. Soon the sheep will be rounded up and taken to the farms again. That's always a time of celebration in Iceland. So it's harvest time in Skagafjörður. Blueberries waiting to be picked!